Dallas Personal Trainer - This is an exercise that can be very useful for beginners who need some workout options that can engage the entire body and get the metabolism going before their ability perform the more complex total body exercises has developed. Many Dallas personal trainers use this exercise for beginning level training clients. If your gym has a Freemotion cable machine, then use that (you will have a separate handle for each hand). 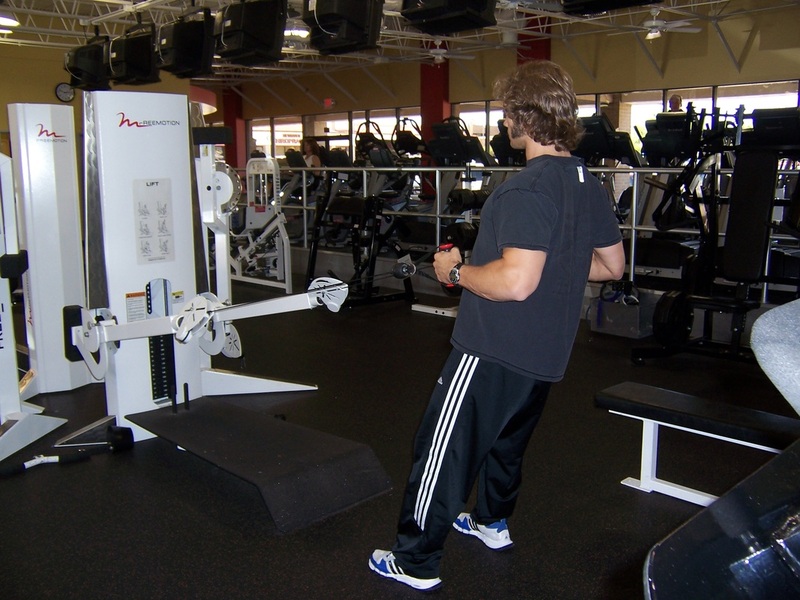 If you do not have access to a Freemotion cable machine, use a regular cable machine (both hands will hold onto the same bar). Select the weight, grab the handle(s) and step back several feet from the machine. 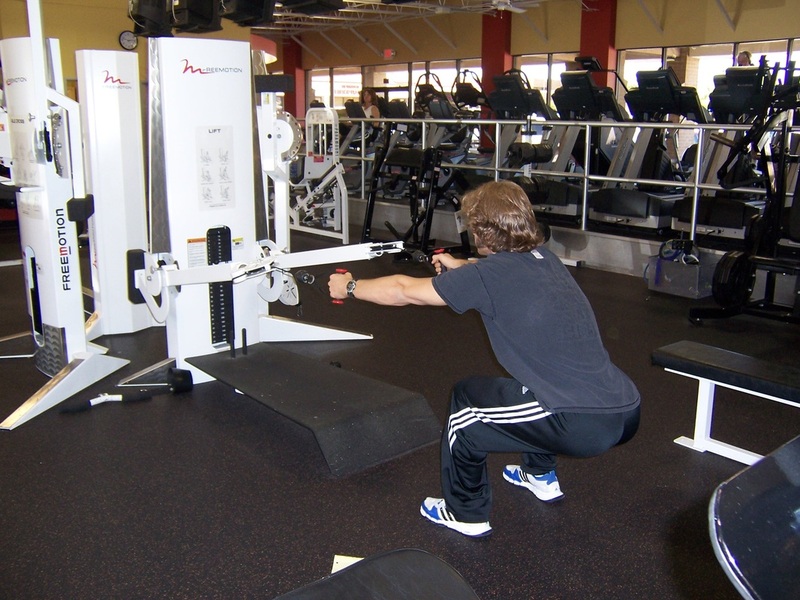 Squat down as low as possible without raising your heels, and let your arms extend forward as you squat. Squat back up as you pull the handle(s) to the upper abdominal area, by pulling with your arms and pulling your shoulder blades back. Do not shrug your shoulders as you pull back, but rather pull your shoulders down and back and stick your chest out. As you squat back down for the next rep, let your arms extend out to the front again and repeat the process for the number of reps specified by you workout program.